An Indian couple who fell to their deaths in California’s Yosemite National Park were apparently taking a selfie, according to a family member and media reports. Vishnu Viswanath, 29 and Meenakshi Moorthy, 30, died last week after falling from Taft Point -- a popular overlook at the park that does not have a railing -- and their bodies were recovered by park rangers on Thursday. 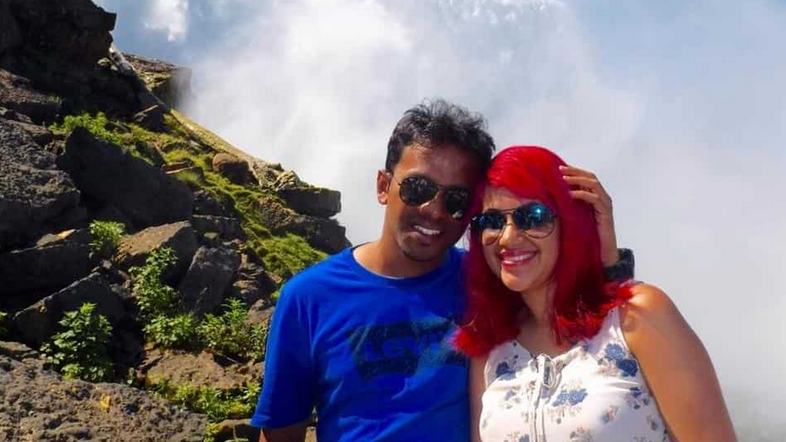 Viswanath’s brother told local media in India that he believes the couple were taking a selfie when the tragedy happened. The pair, who lived in the United States, were travel enthusiasts and had a blog called “Holidays and HappilyEverAfters” that chronicled their adventures. In a recent Instagram post, Moorthy posted a photo of her sitting on the edge of the Grand Canyon and reflected about the “daredevilry” of taking pictures from dangerous locations. “Is our life worth just one photo?” she wrote. Authorities said park officials were investigating the deaths and the probe could take several days. The couple fell almost 800 feet (245 meters) in an area surrounded by steep terrain and rescuers had to use a helicopter to recover the bodies. Some 259 people have died worldwide in recent years while taking selfies, according to a study published earlier this month in the Journal of Family Medicine and Primary Care. Most of the deaths took place in India where 159 selfie deaths have been reported since 2011, the study said.